* Extreme Impact Protection - Can withstand up to 132 lb/ 60 kg of weight. 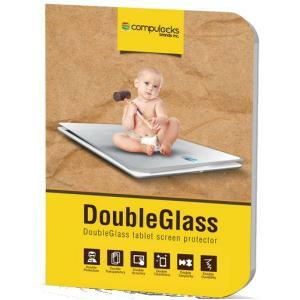 * Scratch Resistant - 9H material delivers unprecedented scratch protection. * Maximum Clarity - High-grade tempered glass preserves crystal clear image resolution. * Anti-smudge Coating - Nano-coating repels natural skin oils and dust and is easy to keep clean.